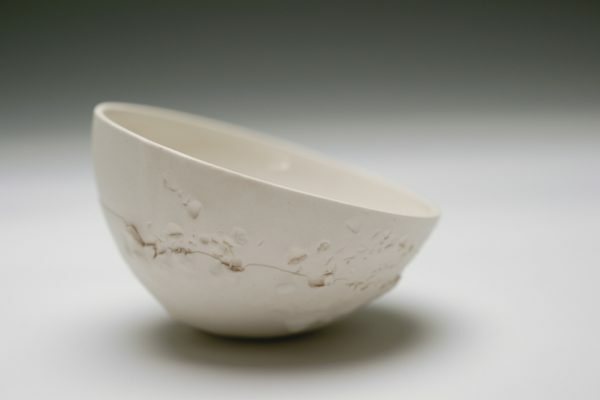 I use techniques of slip casting and throwing to produce my porcelain jewellery and vessels. 1280c is the optimum verification temperature of my porcelain. It is at this temperature porcelain reaches its most desired appearance and materiality.